Both Houses of Parliament have failed to transact any legislative business for last seven days, even the Finance Bill could not be taken up. MPs of several parties, including National Democratic Alliance partner Telugu Desam Party, All India Anna Dravida Munnetra Kazhagam and Trinamool Congress, continue their protests on various issues. Several MPs have given adjournment motion on Wednesday too. Will the House run on eighth day of the he second leg of the Budget Session? 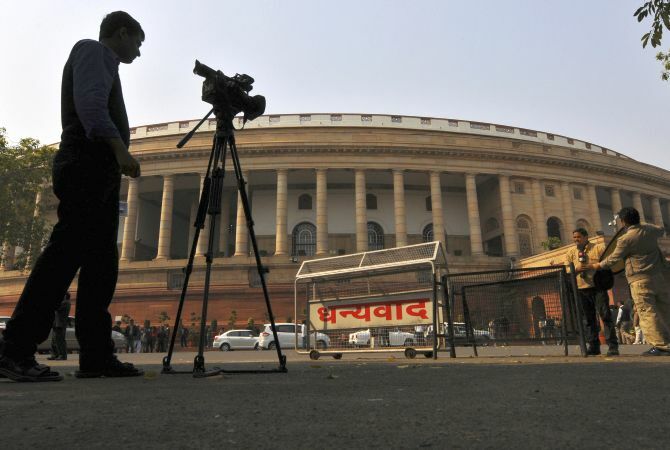 Watch the live telecast from the Parliament.